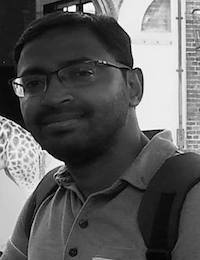 Amit joined the Materials & Structures research team in February 2019. His work will be focused on novel methodologies to advance the verifiable design life of wind and tidal turbine rotor blades through a suite of tests and verification studies. Amit has spent several years in different labs in India, UK, Belgium, and South Africa to gain an understanding of mechanical behaviour of new materials to target speciality applications for aerospace, naval and automobile requirements. He studied a Master’s Degree in Mechanical Engineering from IIT, Guwahati and Doctor Degree from University of Liverpool, UK. He also served Shenzhen Super fiber novel materials co. Ltd (SFNM), China, as a research scientist. In his PhD work, he developed new methodologies and techniques for the cost-effective design, fabrication and testing of lightweight composite structures. Here, energy absorbing characteristics of composite structures were investigated under quasi-static, low-velocity impact and blast loading. Further information about Amit can be found on Research Gate.